The old Latin Quarter is a lovely area to take a walk and click some pictures. 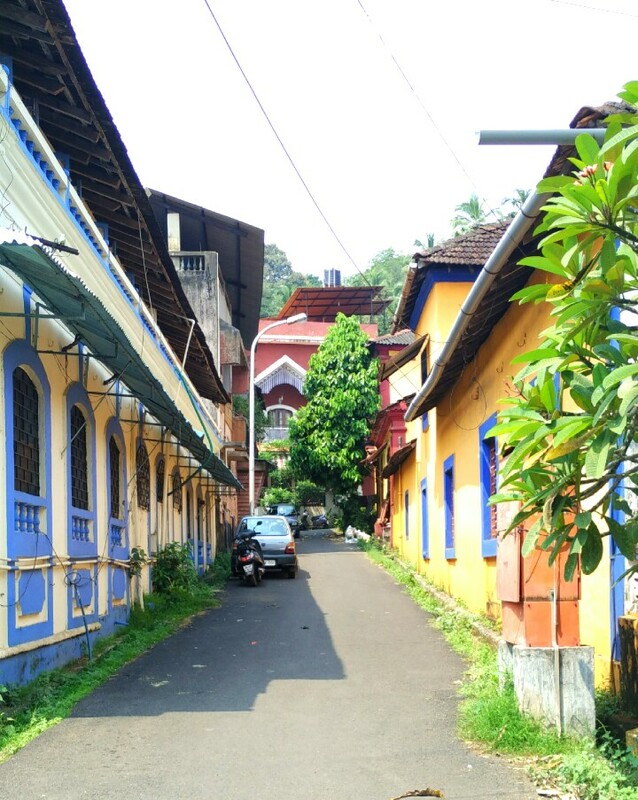 The pretty winding roads are dotted with villas painted in yellow, red, blue and green. 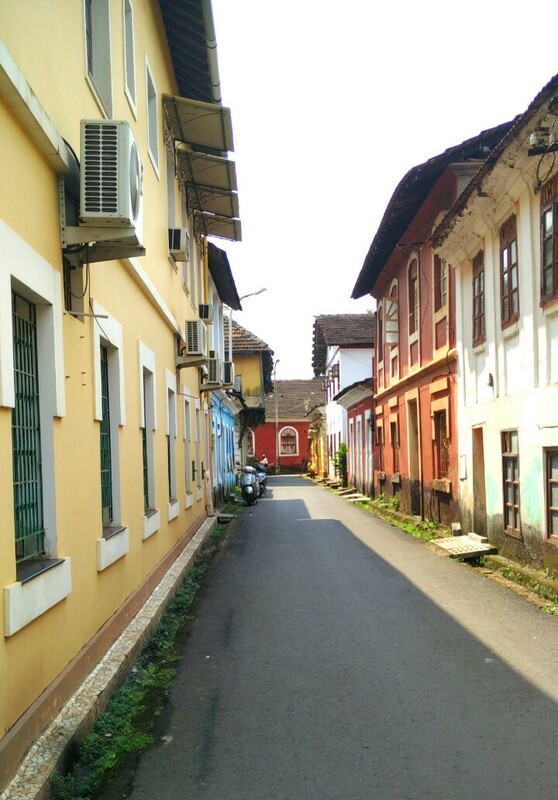 Walk around to get your fill of old world charm. 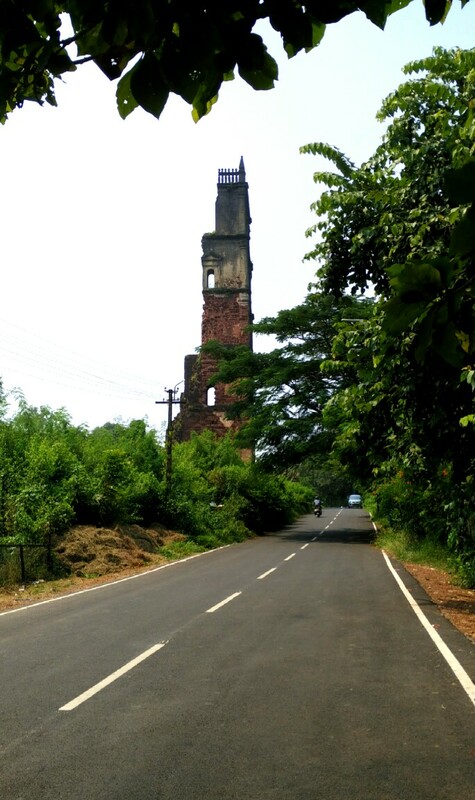 Drive down to Old Goa (it’s a beautiful drive) and if you’ve already been to the Bom Jesus Basilica, go see the ruins of St Augustine’s Tower. 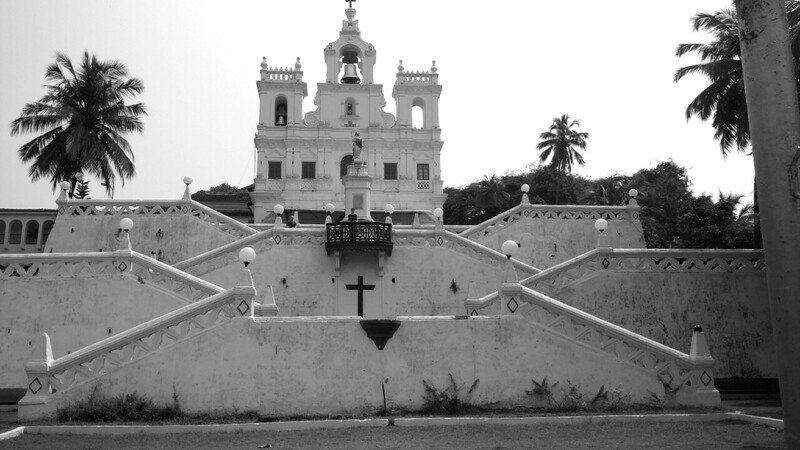 The complex was once one of the largest buildings in Goa. It’s a tiny eatery right opposite the church (Our Lady Of Immaculate Conception) where you’d mostly find locals walking in for a quick breakfast or lunch. They serve dishes that are typically eaten in a Goan Hindu home. 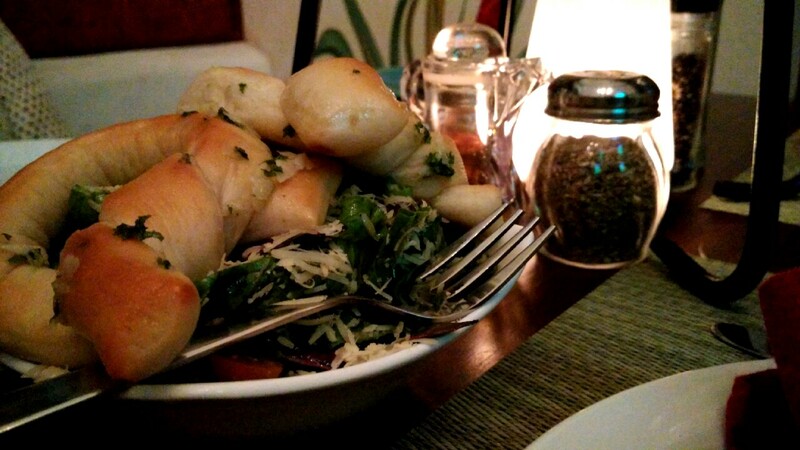 They serve various vegetables and curries with poori aur pao. 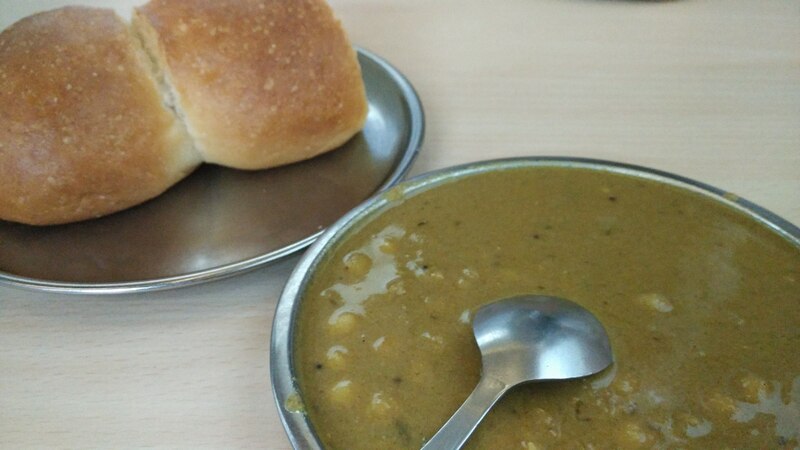 Eat a plate of patal bhaji – white pea curry with pao ; it’ll cost you only Rs 30. 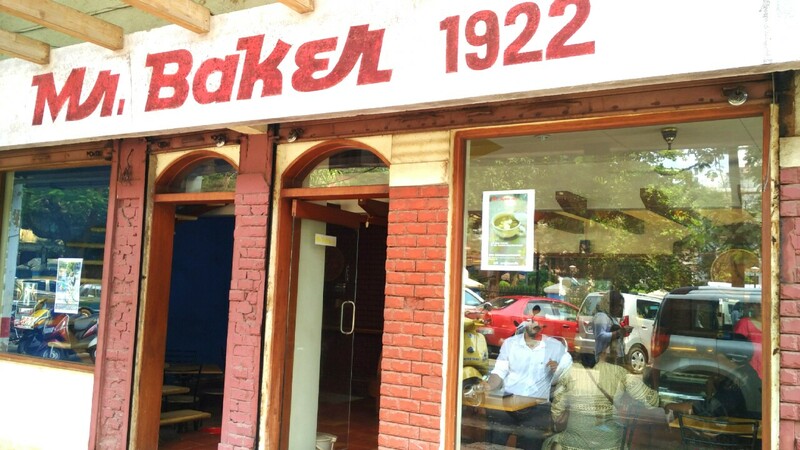 One of the oldest bakeries in Goa, Mr Baker 1922 is run by a Portuguese couple. 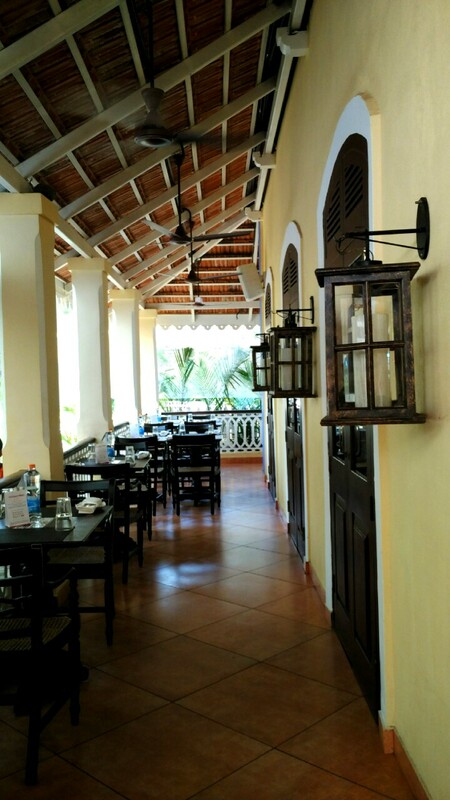 The interiors are pretty with bright blue walls and a typical Goan feel. 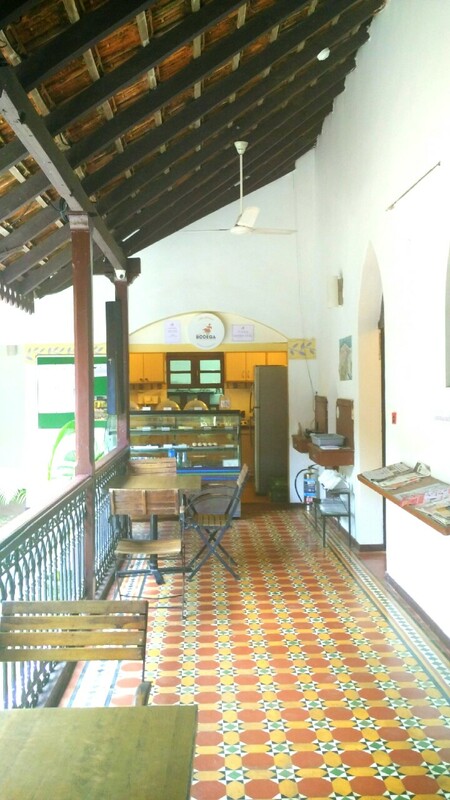 They have beef chops, chicken and vegetable patties, prawn rissois – prawns stuffed in pastry and baked, muffins, cakes and poi – local Goan bread. Buy packets of nankhatai and sweet Portuguese crackers to carry back home. It took as a while to find this cafe, but we’re glad we did. Take the second right next to the church and go uphill; turn left and drive till you reach Archbishop’s residence and then take left from there. You’ll find Sunaparanta Centre For The Arts on your right, park your vehicle and walk in. Run by a chef trained from the Culinary School of America, this cafe serves lovely breakfast. You can spend long hours here with a book and coffee. 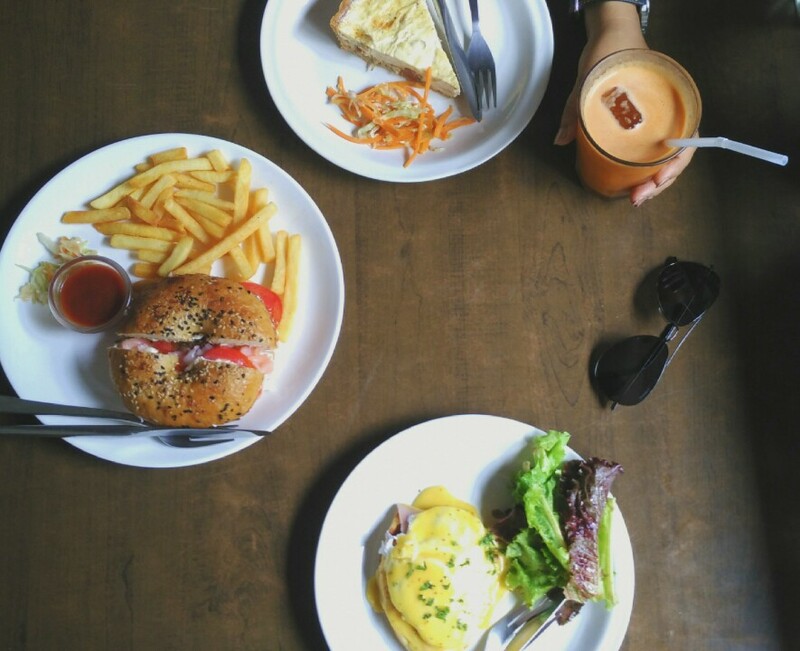 Order their Eggs Benedict – beautifully poached eggs sitting on fresh waffles topped with ham and Hollandaise sauce; Bagel with Cream Cheese and Smoked Salmon and Cheese and Ham Quiche. Go for the fresh Apple, Carrot and Ginger juice and finish off with Raspberry Tart. Trust me, this place is food heaven. 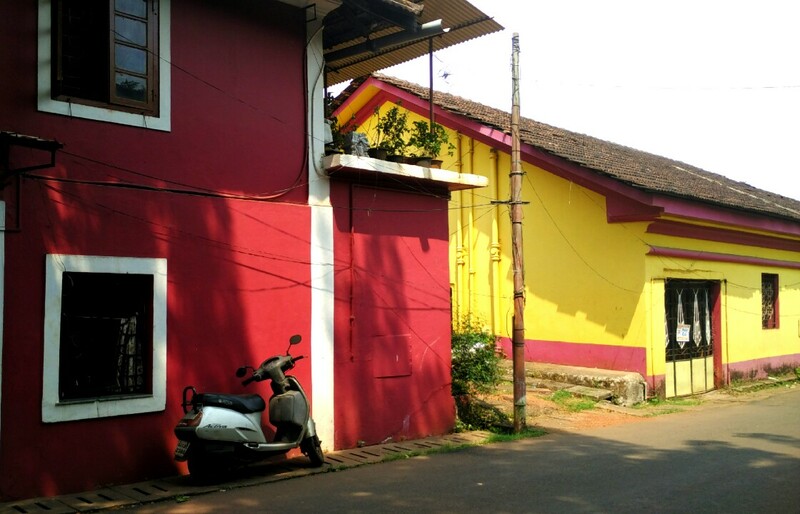 If you’ve been to south Goa, you would definitely know about Fisherman’s Wharf. The restaurant is famous for its beautiful decor and seafood. 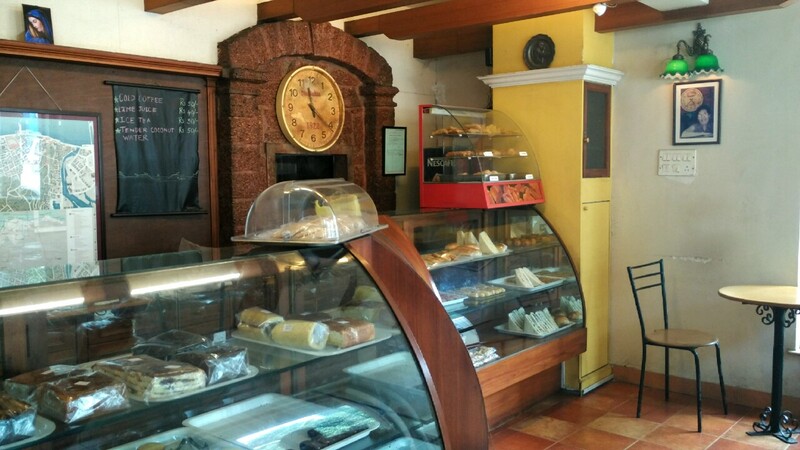 They have an outlet in Panjim too which is a perfect stop for lunch. 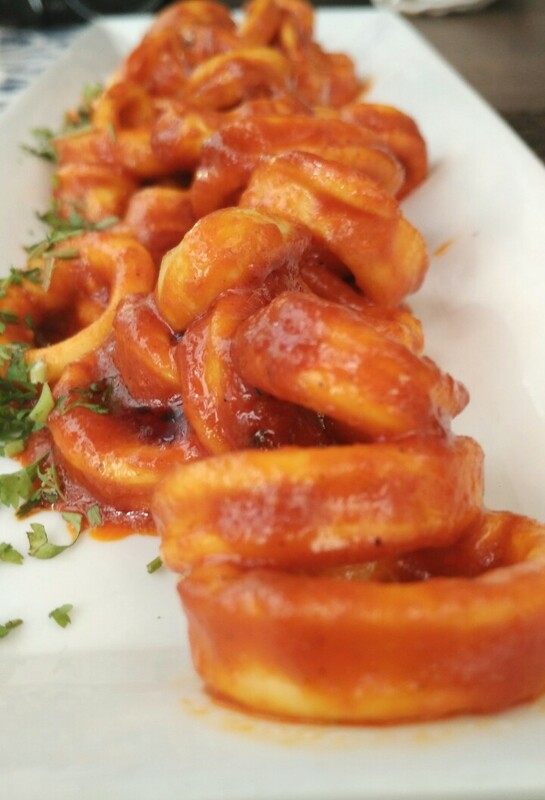 Try their Calamari Rechaedo with beer or order Choriz Pao or Sorpotel. I’ve heard that their Bebinca is light and really good. This recently opened pizza joint serves NewYork style pizzas along with salads and garlic knots (you got to try those). The pizzas are thin crust and a small is good enough for two. 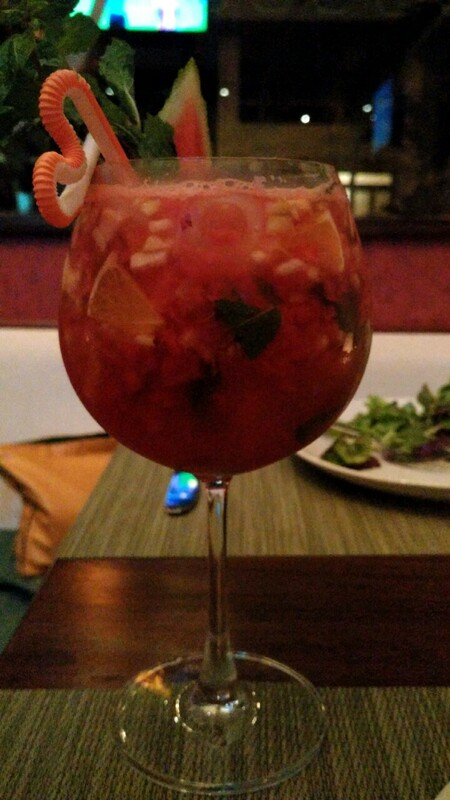 Go for their Bacon and Onion Pizza with a glass of sangria.